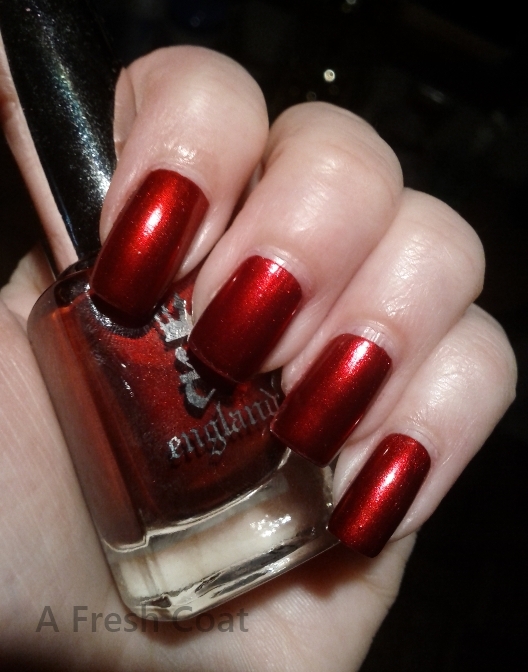 A England – Perceval is such a luscious, yummy red! It’s a warm deep red with golden red shimmer. 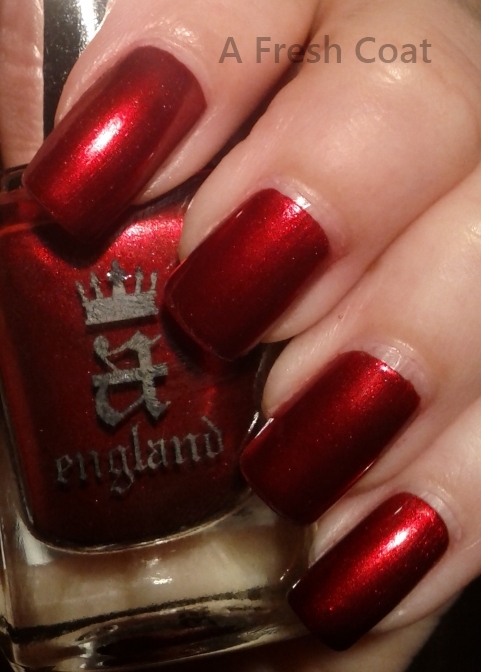 Just like my other A England polishes, this one was very easy and smooth to apply. Pictures are shown with two coats of Perceval with a top coat of Seche Vite.